Android Nougat is packed with a whole lot of new features and optimizations, but most smartphones have not experienced it yet. 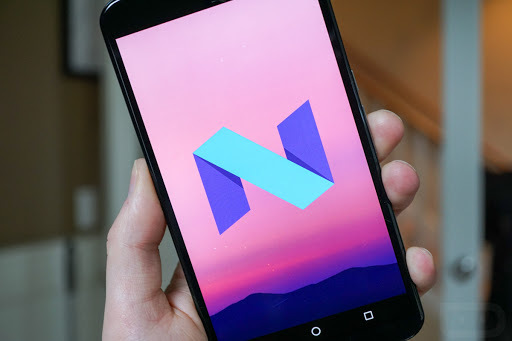 While the update for many devices will be rolling out in the coming weeks, you can still get Android Nougat boot animation right now. However, while this boot animation was a part of the Nougat Beta releases, you can see this boot animation during a firmware upgrade or while working with ADB. If you want to change the plain looking boot logo with something much cooler, follow the steps given below. A root enabled file Explorer for Android. You will need to change your current boot animation with the one provided in the download link below. Make sure that you download the .ZIP file on your Android device itself, so that it is easier to replace. To change the boot animation of your Android device, you need to replace one file with another. However, before you move the new file into the folder, you need to rename the old boot animation file first. After downloading your preferred root-enabled file explorer app, use it to navigate to the/system/media folder on your device. In this folder, you will be able to locate a file named bootanimation.zip (If your device does not have this folder, then it is not supported). Now tap and hold on the bootanimation.zip file and select rename. Without changing the name entirely, simply add .bak in front of the file name and press “OK”. If you ever want to go back to your original boot animation, you can simply delete the new file and rename the old boot animation file by removing .bak from its name. Go ahead and copy the boot animation file you have recently downloaded to the /system/media folder. Simply paste and exit the app and you have now successfully changed the boot animation of your device to the Nougat boot animation.